Between forgotten toys and abandoned coats, everyday clutter can add up quickly. At More Space Place we know it is possible to keep any home clutter-free, even during the busy holiday season. You will be thankful for a good organization system and we are here to help. With our expert organization tips and design tricks, it will be simple to store the everyday clutter in your home. Without a place to store shoes and coats, things easily end up scattered throughout the house. 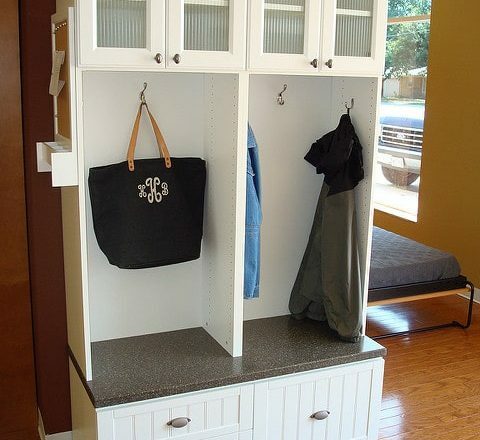 A designated hallway mudroom is a great way to keep your entryway organized. 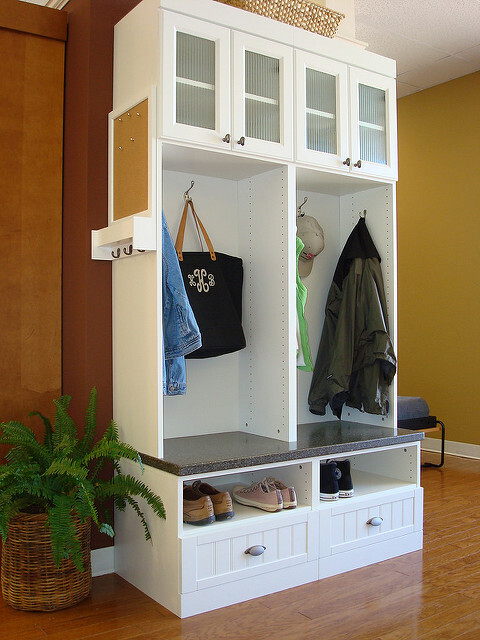 At More Space Place, we can help you build the perfect mudroom. Our custom designs will tailor the mudroom to your needs. From hooks for coats to a bench for putting on shoes, your entryway can have it all. Even in an otherwise organized household, it can feel impossible to keep the everyday clutter of toys from spreading. We can help you keep your kid-friendly home organized. One of our favorite organization tips involves keeping cubbies for your children in common areas of your home. Place the cubbies at their eye level and when they’re done playing, they can easily put their toys away so the burden of cleaning up isn’t always on you. Does your family love sports? Do you enjoy kicking back with popcorn and a movie? If so, consider installing a custom media center. 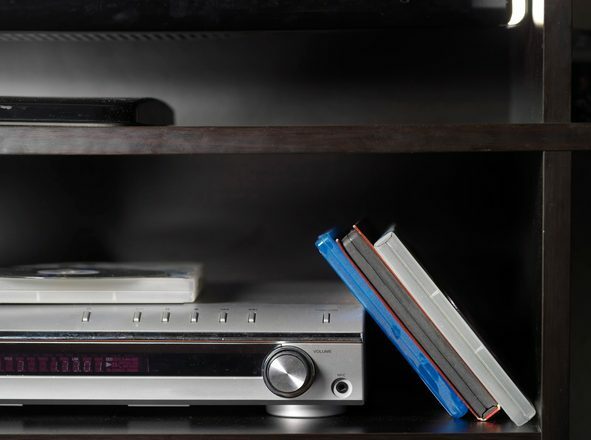 Today’s flat-screen TVs could just hang on a wall, but we think you should make use of your space by housing your TV in a more creative environment. The cabinetry of an entertainment center is a great way to tuck clutter away. Plus, you and your holiday guests will have a great view when watching re-runs of A Christmas Story. It is easy to get overwhelmed by your to-do list. A good organization strategy can help you reduce stress, which is particularly important during the hectic holiday season. At More Space Place, we recommend setting aside ten minutes every day to tidy your home. A quick power clean can make a big difference. Make it a family affair and get your kids involved. 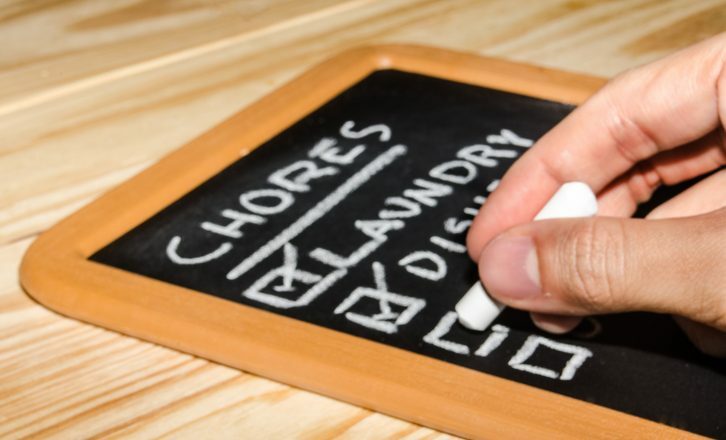 A designated cleaning time is a great way to instill positive organization habits. When the mess starts to feel overwhelming, remember, you can successfully keep everything organized. Start small if you need to and make sure your entire family is helping to keep the home clutter-free. Our design experts at More Space Place are here to help you achieve your organization goals. Give us a call today to start working on your storage solution.